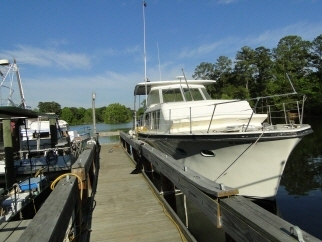 BELLS MARINA includes: MARINA with 3 DOCKS/30-something BOAT SLIPS, and two launching RAMPS, RESTAURANT, GAS STATION, CONVENIENCE STORE, 12 unit MOTEL, block BUILDING, metal BUILDING, 37 RV Hook-ups, tent camping area, CLUBHOUSE, BATH HOUSE, SINGLE FAMILY HOME, sandy beach area with ?? feet of shoreline on Lake Marion. Interior Features Clubhouse is 3RB/1 Bath with open area and kitchen. Sleeps 12. Single Family home is 1271 SF(approx). Metal Building is 5400 SF (approx). Retail Building is 4200 SF (approx). Motel is 3952 SF (approx).